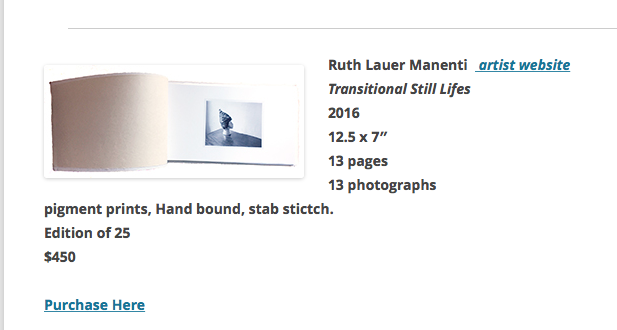 Ruth Lauer Manenti is the featured artist of the week for Art Photo Index and her work can be seen on the homepage through the end of the year. Please join us for the opening on Sunday 4th February from 11 am to 5 pm. Pleased to announce that I have received the 2016 NYFA fellowship grant for excellence in photography.